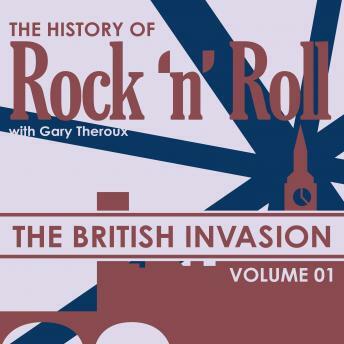 In this first edition of The History of Rock 'N' Roll, host Gary Theroux gives listeners the sounds of the earliest days of The British Invasion. You'll hear from members of The Hollies, The Moody Blues, The Searchers, Chad & Jeremy, Peter & Gordon and singer Billy J. Kramer. Theroux takes listeners on a journey as these key players in the British Invasion share stories of their early careers, inspiration behind their songs and discuss what it was like in those early days of breaking out in the United States.